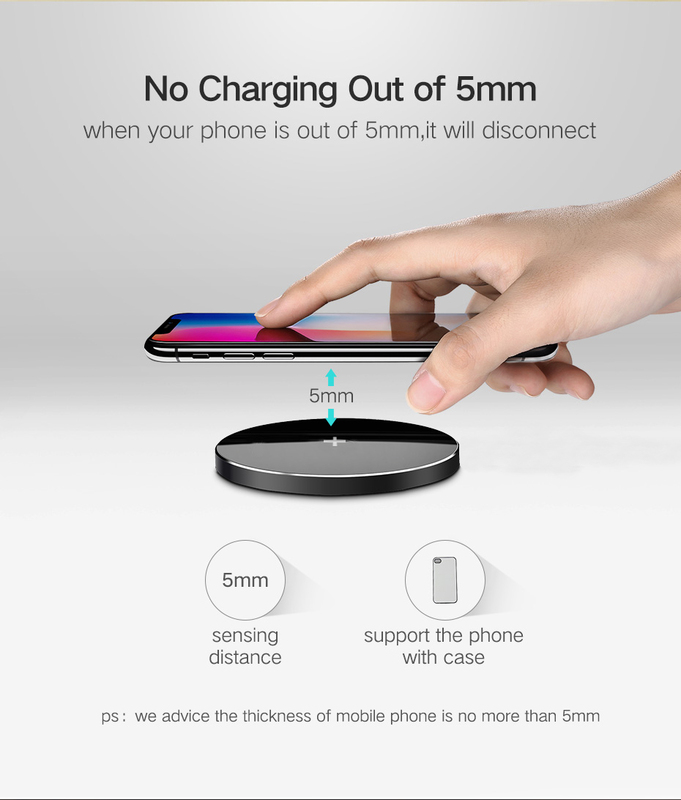 Features:Input: DC5V, 2AOutput: DC5V, 1ACharhing Distance: ≤8mmCharging power: 10WCharging Effici.. Description:Model:FWC1Color: Black Input voltage: 5V 2A, 9V 2AOutput current: 5V 1A, 9 1.47ATra.. Safe and Sturdy Design:Lightweight, compact and easily portable.Hidden LED power indicator.Contains .. Note:1. Please use a 9V/1.67A or 5V/2A adapter and high-quality cable to ensure charging effect.2. I..
Not All devices can use this Charger to Charge the Battery ! For Samsung Galaxy S6 / S6 Edge / S6 Edge + / S7 / S7 edge / S8 / S8 Plus Note 5 Note 8.. 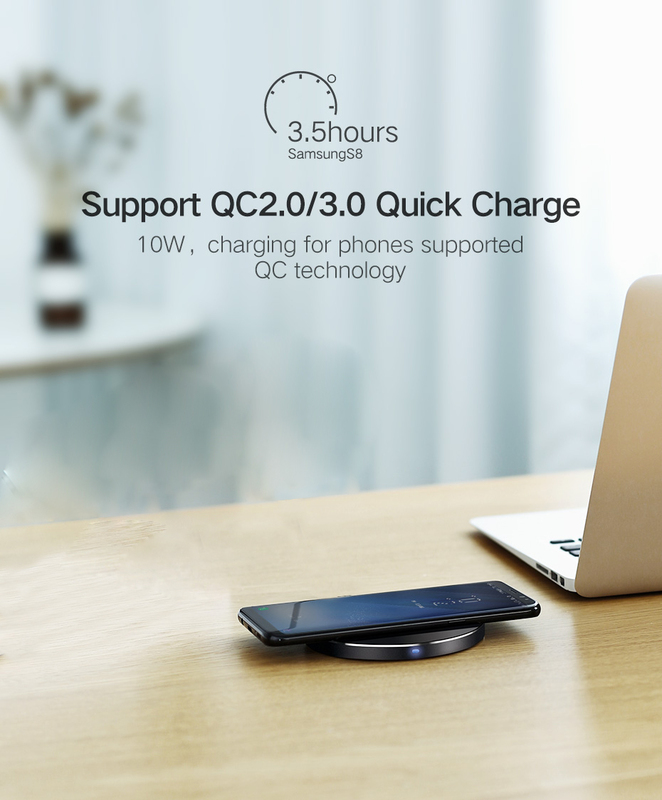 This QI charger can actually support All QI Standard Devices . 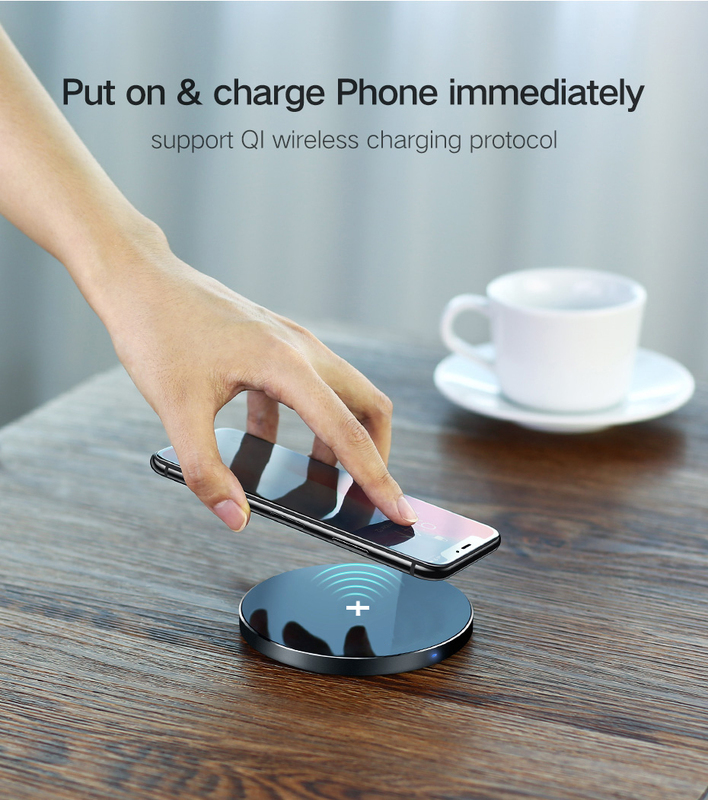 Important Note: Please make sure your phone supports QI wireless charging standard before you buy.